[Proprioception] : perception and awareness of the position and movement of the body. incarnate, move, grab, ... fight! Holoception introduces a unique way to interact in VR. This game explores the extraordinary capabilities of the brain to project itself into another entity and still manage to feel fully immersed. It is astonishing how quickly the brain’s proprioception can adapt and make the controls feel natural. The player incarnates and controls a small character in front of him. Using state-of-the-art IK techniques, the head and hands positions are accurately reproducing the posture of the player but in 3rd person perspective. This allows to fully use ragdoll constraints and collisions for realistic interactions using physics.  Since the real player is much bigger than the character he controls, he can fully run, jump and climb with a much lower likelihood to induce motions sickness compared to the first person view. The current game mode is an arena style combat simulator inspired by very popular movie action scenes.